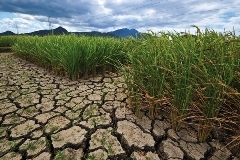 The focus of GCP’s work – using genetic diversity and advanced plant science to improve crops for greater food security in the developing world, with a particular focus on drought-prone and harsh environments – seemed to resonate well in the research for development community during 2013, with a number of international events and publications turning the spotlight on drought and its effects on agriculture. 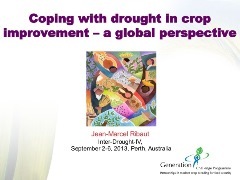 In our GCP corner, it all began in March, when GCP Director, Jean-Marcel Ribaut, began the year’s drought discourse with a talk entitled ‘Understanding drought tolerance to best breed for it: how far do we go?’ which he presented at the 49th Annual Illinois Corn Breeders’ School in Champaign, Illinois from 4–5 March. Early September started with a ‘Harvest Festival’ of drought pickings, beginning with the InterDrought IV conference in Perth, Australia, from 2nd to 6th of the month. 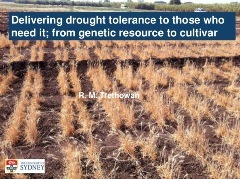 This conference, in addition to being partly sponsored by GCP, had Jean-Marcel presenting the keynote address, which explored the complexities of climate change on crop productivity, and delved deep into drought – a ‘complex and capricious’ creature, before considering the many facets of breeding for drought tolerance (see it all on SlideShare). 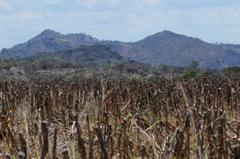 GCP itself is mentioned in the article as an example of a project which helps build local capacity in the developing world in order to maximise on advances in crop technology. 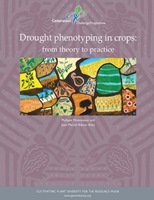 In keeping with the drought theme, we had on offer to GRM participants our 2011 open access book, Drought phenotyping in crops: from theory to practice. We also shared copies of chapters which had been republished by Frontiers. Republishing this work gave contributing authors an opportunity to refresh and update their findings, and to bring state-of-the-art research in phenotyping to the public once more via open access publishing, with each author moving at their own pace. Republished chapters will be compiled into an open-access e-book coming soon. The closing chapter to this current chronicle on drought dialogues is a success story, by GCP Principal Investigators, Emmanuel Okogbenin (NRCRI, Nigeria), Chiedozie Egesi (NRCRI, Nigeria), and collaborator Martin Fregene (Donald Danforth Plant Science Center), which appears in a new FAO book, Biotechnologies at Work for Smallholders: Case Studies from Developing Countries in Crops, Livestock and Fish. 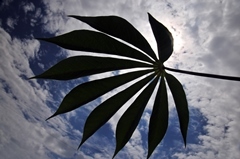 The team’s GCP work on cassava is in chapter 2.4, entitled Molecular markers and tissue culture: technologies transcending continental barriers to add value and improve productivity of cassava in Africa, which describes the many hurdles they have successfully overcome to breed high-yield, disease-resistant, drought-tolerant cassava for breeding programmes in Nigeria. Going beyond drought, the chapter dwells on disease and other drawbacks – aspects also touched upon in this lively profile of Chiedozie Egesi. For in a narrative high and heavy on the devastation of drought and disease, it’s important not to lose sight of the gains, and also important to celebrate the good news despite the bad.